It’s one of the best wireless service promotions we’ve seen in a long time, tempered only by the quality of Sprint’s network. Sprint is no stranger to dangling generous offers in an attempt to get customers of other wireless carriers to switch to its network. But the nation’s fourth largest cell phone service provider might have outdone itself this time: if you switch from another post-paid wireless plan, Sprint will now give you an entire year of unlimited talk, text, and data for free. And yes, this is one year of service completely free of charge. 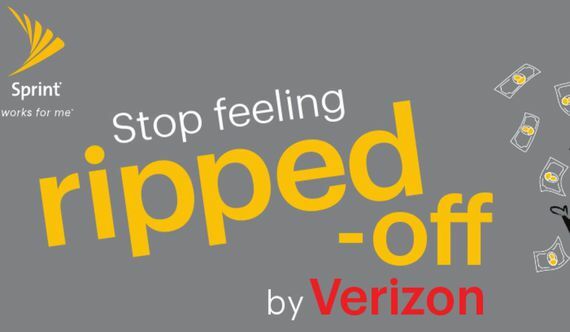 Sprint will even waive the $30-per-line activation fee. Your net cost won’t be $0, however, since you’ll have to buy a $2.99 SIM card for your eligible smartphone. You’ll also get a monthly bill for taxes, additional services you add to your plan and a charge if you don’t opt in for automatic payments and electronic billing.There’s no contract, and after your free year of service concludes in July 2018, you can either pay for Sprint service or switch back to another carrier of your choice. To take advantage of the offer, which ends June 30, you’ll need to bring your own unlocked compatible phone, which includes every iPhone released since the iPhone 5c, the Samsung Galaxy S8 and S7, the Google Pixel and some Google Nexus phones, and a smattering of Motorola handsets. Sprint’s network is notoriously inferior compared to those of its competitors, often ranking at the bottom of PCMag‘s annual Fastest Mobile Networks test for data speeds and reliability. But like other carriers, Sprint has been investing heavily in its network, and unless you travel frequently or live in a city where Sprint is particularly weak, you might be pleasantly surprised. If you’re not, thanks to this offer, you can just walk away with hardly any damage to your wallet. Source: Sprint Offers Year of Free Unlimited Service | News .., https://mindfeederllc.com/2017/06/13/sprint-offers-year-of-free-unlimited-servic (accessed June 15, 2017).